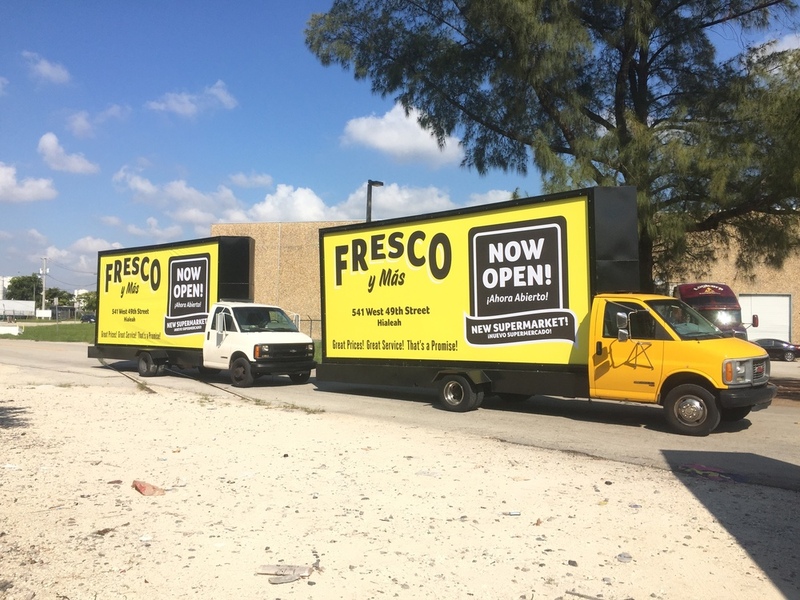 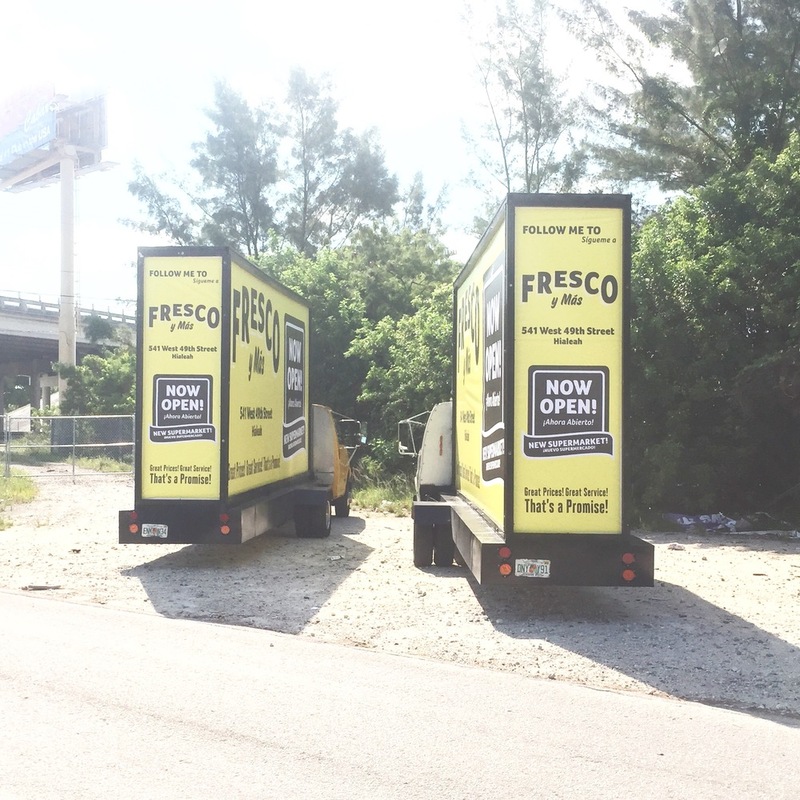 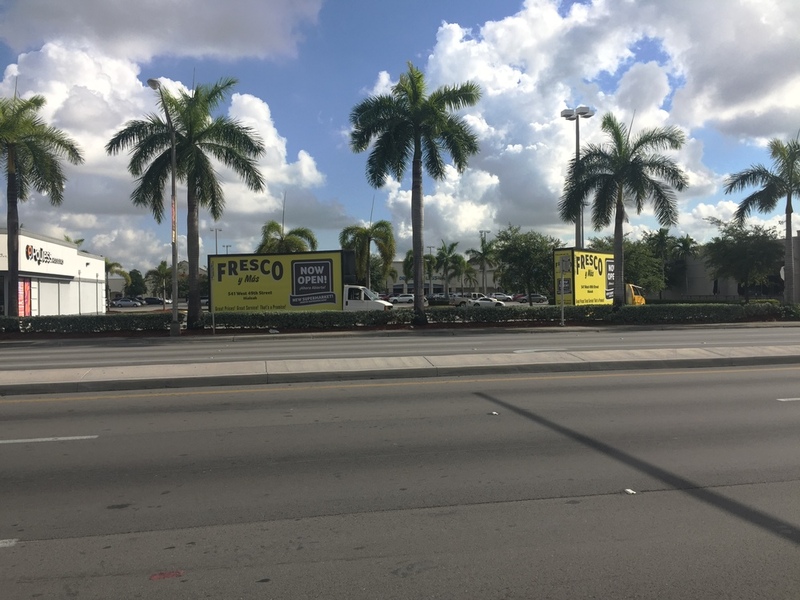 Mobile Billboard Miami is back again with returning client Winn-Dixie Supermarket and companies new Supermarket brand "Fresco Y Mas" . 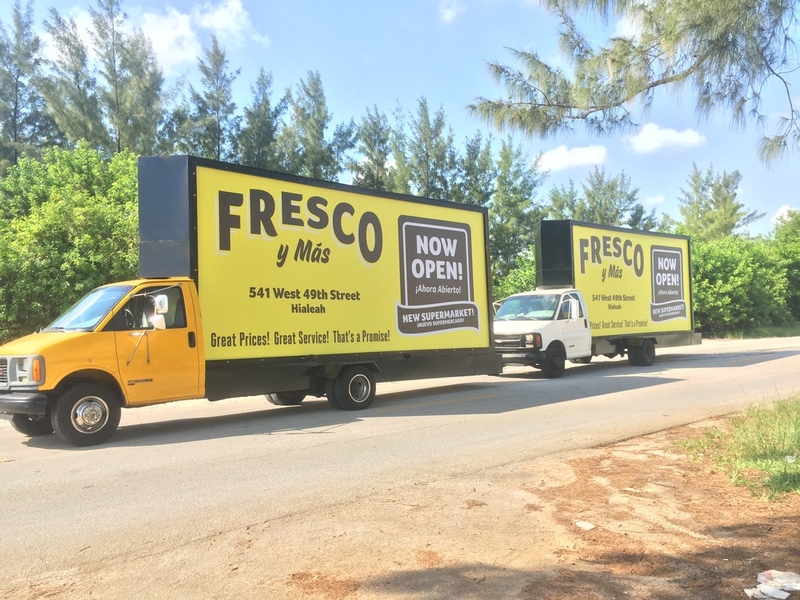 Fresco Y Mas first location is here in Hialeah , Fl . 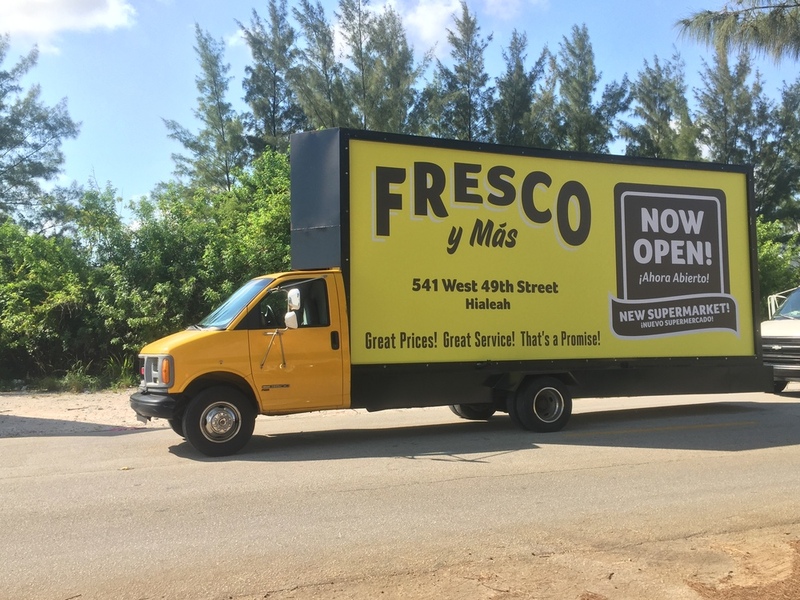 This new Supermarket is a Spanish type brand. 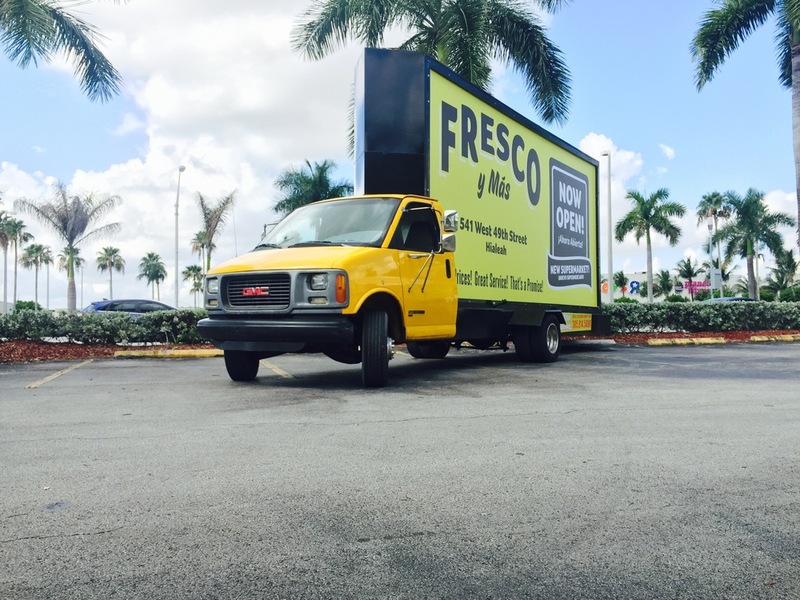 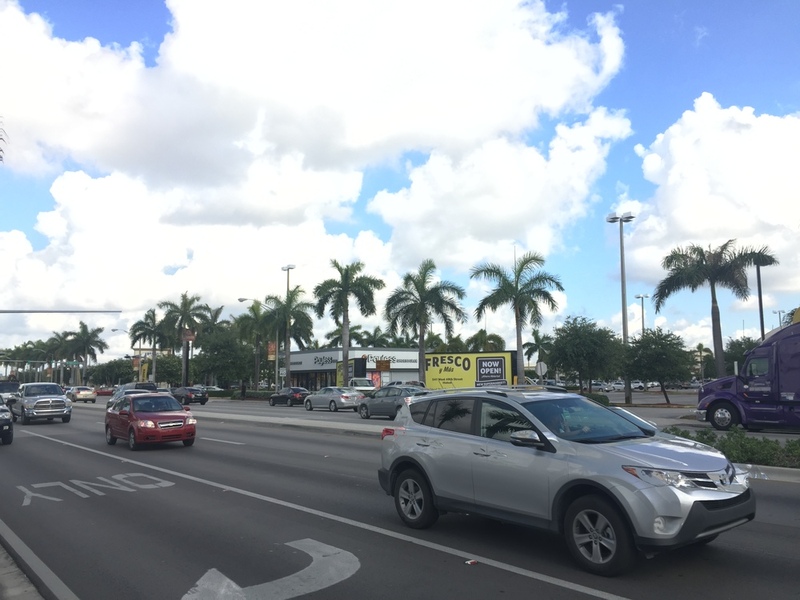 Mobile Billboard Miami Cover its Grand Opening with billboard trucks and covering area radius of supermarket.